One of the common complaints of many of us Muslims is that when we make Dua, we don’t see its immediate effects. As a result, we get disheartened and lose hope in the effectiveness and powers of our Dua. The post below highlights a passage written by Ibn Al-Jawzi (may Allah have mercy on him) where he discusses this topic. For those of us who don’t know, Abu’l-Faraj ibn al-Jawzi (508 AH – 597 AH) is known to be one of the most prolific authors in Islamic history. According to a research conducted on the extent of his research works, the number of Ibn al-Jawzi’s books is more than 376 texts. Some even say that he is the author of more than 700 works. I think part of the test is when a believer supplicates and receives no response, and he repeats the dua for a long time and sees no sign of a response. He should realize that this is a test and needs patience. What a person experiences of waswaas (whispers from shaytan) when the response is delayed is a sickness which needs medicine – I have experienced this myself. A calamity befell me and I supplicated and did not see any response, and Iblees started to lay his traps. Sometimes he said: The generosity (of Allah) is abundant and He is not miserly, so why is there a delay? I said to him: Be gone, O cursed one, for I have no need of anyone to argue my case and I do not want you as a supporter! Then I told myself: Beware of going along with his whispers, for if there was no other reason for the delay except that Allah is testing you to see whether you will fight the enemy, that is sufficient wisdom. My soul (nafs) said: How could you explain the delay in the response of Allah to your prayers for relief from this calamity? I said: It is proven with evidence that Allah, may He be glorified and exalted, is the Sovereign, and the Sovereign may withhold or give, so there is no point in objecting to Him. The wisdom behind that is proven in definitive evidence. I may think that something is good, but wisdom does not dictate it, but the reason for that may be hidden, just as a doctor may do things that appear outwardly to be harmful, intending some good purpose thereby. Perhaps this is something of that nature. The response may be withheld because of some fault in you. Perhaps there was something dubious in what you ate or your heart was heedless at the time when you said the dua, or your punishment is being increased by means of your need being withheld, because of some sin from which you have not repented sincerely. So look for some of these reasons, so that you might achieve your aim. You should examine the intention behind this request, because attaining it may lead to more sin, or prevent you from doing some good, so withholding it is better. Perhaps losing what you have missed out on will cause you to turn to Allah and getting it will distract you from Him. This is obvious, based on the fact that were it not for this calamity you would not have turned to Him, because the real calamity is what distracts you from Him, but what makes you stand before Him is good for you and is in your best interests. If you ponder these things you will focus on what is more beneficial for you, such as correcting a mistake or seeking forgiveness or standing before Allah and beseeching Him, and forget about what you have missed out on. It was narrated that Faddalah ibn ‘Ubayd said: The Prophet (peace and blessings of Allah be upon him) heard a man making dua after his prayer, but he did not send blessings upon the Prophet (peace and blessings of Allah be upon him). The Prophet (peace and blessings of Allah be upon him) said: “This man is in a hurry.” Then he called him and said to him or to someone else: “When any one of you has finished praying (and makes dua), let him start by praising Allah, then let him send blessings upon the Prophet (peace and blessings of Allah be upon him), then after that let him ask for whatever he wants.” Al-Albani said: it is a saheeh hadeeth. (Saheeh Sunan al-Tirmidhi, 2765. The Prophet (peace and blessings of Allah be upon him) said: “The slave will receive a response so long as his dua does not involve sin or severing of family ties, and so long as he is not hasty.” It was said, “What does being hasty mean?” He said: “When he says, ‘I made dua and I made dua, and I have not seen any response,’ and he gets frustrated and stops making dua.” Narrated by al-Bukahari, 6340; Muslim, 2735. — Finally, for those of us who have abandoned the practice of Dua, we may be missing something quite important. Wishing is not the same thing as making a Dua. We may keep wishing our wishes but we have a better chance of seeing them materialized when we actually make the effort to enter the state of Dua and asking Him what we want. this has certainly answered many questions. thank you for the duaa, feel much better. The same thing applies to many of us especially we women who are weak in faith but may ALLAH guide us through and protect us from shaitan. well i believe extremely in dua…and Allah listens to everyone…. Jazak Allahu khairan! That was very useful. this is a good reminder and i thank Allah for all i do i always pray and believe that Allah loves me better than i love myself, so if i pray and did not see response i know the problem is with me and or Allah is keeping for me for the best time. thank you very much, may Allah reward you abandantly. very interresting subject, it comes in time! THIS IS A VERY GOOD AND INFORMATIVE ARTICLE. IT IS CAPABLE OF INCREASING EEMAN. I WILL HOWEVER REQUEST QURAN REFRENCE AS A BACKUP. this post was fantastic, its really opened my eyes and strengthened my faith. That was avery good reminder for all muslims.May ALLAH bless you as you continue to reminder our muslim umma in the whole world, AMEEN. AAWW; and thanks for this wonderful reminder, jazakallahu khairan. We think we know what we want and good for us. When we ask from Allah SWTA, let His Will be done; let Him “Guide us to the right path”, Ameen. Sura 1vs6. I wish you all muslim brothers & sisters well. Salaams. Jazakallah, very help full information. An excellent topic. I recommend to include the Hadith of our Prophet Muhammad (may the peace and blessings of Allah be upon him) in which he explained that either we will be granted what we ask right away, or Allah the Almighty will prevent an equivalent bad thing to what we ask for, or hold the reward for us in the day after. Sincerity in Dua is a major factor. on the day of jugdement the reward of unheard duas would be such that people would wish none of their duas had been answered. Thanks for this lovely news, my personal experience is all my difficulties were removed & duas being answered by Allah swt and also by sending salams to Rasoolah sal la wale wasal. I’m a convert & I find difficulties everyday but Allah is great I always succeed. and peace and mercy of allah upon mohammad. and reward for who are doing for allah and his creatures. no word seem to be enough how I can thankyou, realy this subject was very useful, and intersting. I have gotten alot of guide, and understand how is the real dua. A reminder is always good for the believer. I have made duas and get answers in a short time.I have made other duas, but don’t seem to be having a response or a response in keeping with my desire but I view it as being for my good for I strongly believe Allah ta’ala loves his servants and grants them what He knows is best for them,for He is the all knowing, Wise and just.. Agreed with brothers and sisters above, strengthened my faith !! May Allah bless all of us. This is a wonderful reminder, I have been in this postion myself. The best doa is the istighfar. 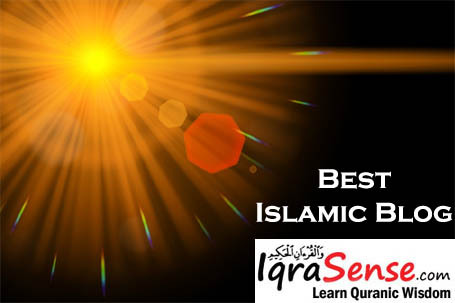 The prophet sallallahu alaihi wasallaam once said to a question on what doa to recite if one is to meet the night of lailaulqadr… recite – Allahumma innaka afuwun, tuhibbul affwa, fa’fu ‘annii. For Allah knowth what is best for you and will guide you and giveth you what will be beneficial for you by this istighfar. it’s a very nice subject, it’s defenetly true. U’ll feel great when ur dua’ is responed, it is the nicest way to contact with God. Jazakaallah… Good to see so many comments..
All of us need to have patience and believe that one day our prayers/dua will be blessed by Allah… Never stop praying, for once allah will always forgive us.. Inshaallah! thank you sooo much for this email , it has made me happy in so many ways and has given me a gd start to the morning . I will surely keep it in mind . My Allah guide us to a correct path. By enjoying good and forbidding evil will lead us closer to our religion and make us spiritually pure. Abu’l-Faraj ibn al-Jawzi – May Allah bless him. The article is so succint and clear. Mashallah. We should all include in our daily duas, prayers for all our Prophets and Messengers, authors, writers, teachers, everyone in publishing of Islamic material electronic or hard copy. Ameen. 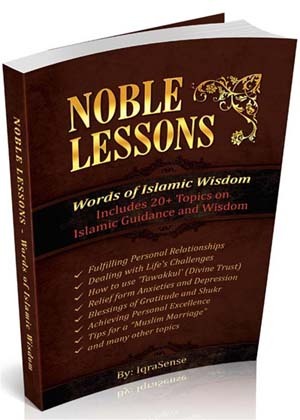 We learn every day from great Muslims who shared their knowledge by writing. Alhamdulillah, God bless us all. Also, there is a factor: Allah tests those whom He loves. So, persevere more in Ibadat when fallen in adversity. That is a sure sign that your faith is strong. Allah will test your faith (Iman) because He loves you. Even Prophets were tested with hardships, so who are we? Patience and strong faith will bring you closer to Allah. And your prayers will be answered. Insha Allah. THIS IS VERY GOOD AND NICE SUBJECT TO HELP THE MUSLIM PEOPLE IN THE ALL OVER THE WORLD. Very informative. May Allah guide us on the right direction. Jazaakallah, thanks to remind us which we could have missed out in our busy life. Our duty is to ask HIM, HE has the duty to answer his servants dua. HE knows our weakness and help us to be successful in the hereafter. Let all of us dua for the entire ummah to be blessed and go thru the test platform( this world) successfully and meet the ALL MIGHTY ALLAH in the fashion that he prefer us to be. Muslimin Muslimat to the right path…Amin. Jazakallahu Khairan. This is a good reminder to every Muslim of the words of the Holy Qur’an that Du’a is a sword of the Muslims. alhamdulillah, dua is a best prayer,it is a medium through which we communicate with ALLAH. Alhadulliah, this article was of great help. It has given me a different insight and has helped me look at a different view which I have been blinded too. May Allah bless the author(s) of this article. Thank you for this informative post on dua. When a son sends a cable to his father asking for money, he waits with expectancy looking out for the postman. The son knows that his father loves him and will worry for him and as a result will send him the money. The father, on the other hand, may realise that the money will be wasted and spend on movies and not on books. So he may decide to wait and send the money after the exams are over. The son EXPECTS, the father ANSWERS – sometimes in ways that the son does not understand ! When we pray to the ALMIGHTY, it must be posted like an urgent sure shot message and MUST EXPECT the ANSWER genuinely from our HEART ( Faith in Almighty, ask and HE WILL LISTEN) and be patient. If there is a delay – ask yourself whether the ‘money’ will be spent on ‘books’ or ‘movies’ !! Thank you for this post. May Allah Bless us all. when I was planning to visit a country, I applied to have visa of that country but was rejected despite my full heartedly dua from my Allah to have that so that I may visit that country and see my relatives there. I was not given visa for one or more reason unknown to me. I had to return back to my home with some tears in my eye. But I consoled that time to myself as ” Not getting visa might be good for me for the reason unknown to me now. And yes after 02 months I could understand the purpose of Almighty Allah of not permitting me to leave the country. Something which was not scheduled happened on very urgency basis. 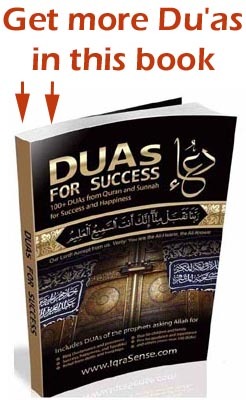 Jazakhallah Hairan, I believe in the power of Dua, and My dua is always answered, whenever is not answered, I believe it is kept for a better time or for my children in the future,because Allah SWT knows best, also because all Dua of all believers are never rejected unless the dua is something that is unlawful. May Allah answers to all our Dua. Alhamdullilah..an eye opener to many impatient ignorant souls.. This article is certainly a reminder for all of us. ALLAH may give us taufique to paray to HIM whole heartedly and with Imaan. Insha Allah our prayers will be answered. First of all we have to complete the pre-dua i.e blessings upon the Prophet (peace and blessings of Allah be upon him). The Prophet (peace and blessings of Allah be upon him). After making dua, patience is important. I thank you very much for reminding this important issue of our life. Dua gives us hope and hope keeps us near to Allah.Thank you for the article. JAZAKALLAH for such a nice reminder and yeah personally i hav lost my patience but still hav strong trust that only ALLAH will help me out so keep praying cz its connect us to ALLAH. let me point out one more thing towards the TOpic … that is the intensed feeling that we have during making Dua, Deep inside our heart knows whether this Dua gonna be fulfilled or not.. ask to your heart look inside it.. it’ll answer you if you are sincere slave of Allah, Have his Fear in your heart,& have stongly Faith in Akhira. Thanks for reminding this through the article that only Halal dua is accepted, may allah swt make us to walk on the path of our beloved messenger (pbuh) ameen. gives more faith on Allah & also make us to identify our sings and seeking forgiveness from Allah. Jazakallah Khair for sharing this article. this helps each & every Muslim to identifying and overcoming their sings and seeking help from Almighty Allah. Surly Almighty Allah is the forgiver for each and every one because he loves All. This is a right topic to discuss in these days, to strengthen our faith in Allah. This shall clear the doubts of most of the Muslims. All the praise be to Allah SWT and peace upon our beloved Prophet Muhammad SAW. Dua is a means of communication. I want to keep it alive. I talk to Him day in and day out. He listens to me. Most of my duas have been answered. The rest will, Inshallah, be fulfilled hereafter cause our jaaiz demand will not go astray. In return what he expects from us? We must have firm belief in one ALLAH (SWT) and His last messenger Mohammad (SAW). We must pray to Allah to protect us from the fitnas of shaitaan. This is a wonderful article. May Allah bless all those who put their best efforts for their community to improve their remembrance of Allah! I fully agreed with Zohra, because Allah is Almighty & if He tests all of His Nabi (Prophets) with hardship, so what we are & who we are? This is the very important news, because if a person gets disappointed by allah, he will be very near to kufr, or shirk. so brohters and sisters dont leave your faith in allah, because alla will repay for the duas in aakirath, which are not accepted in this world, so keep asking lot of Aafiath duas. I was sort of getting this thinking. And your post has reinforced it and made me realize. I am struggling and asking forgiveness. And Asking Allah Subhaha wa Taala to show me my mistakes and shortcomings earlier, and inshAllah I will be obedient. Great article and very educative. it has given me deep reflection to my duas. Keep on sharing with all muslim brothers and sisters. Alhamdulillah. Quotations are great and useful for all of us. Quite instructive. Jazaka Lahu khaira. May Allah grant us sabur. When ur prayers r not answered keep trying like how our prophet(PBUH) kept trying even fr food and do not forget Prophet Ayub(PBUH) PRAYERS IN HIS PROLONGED DISEASE. receiving this article on dua , for me is more proof that Allah sees & knows our innermost thoughts even without us telling anyone, and Allah is the greatest. Please make dua for me, that Allah should bless my husband & I with righteous offspring insha allah. i know Allah can answer all , we have been married for 1 year, 4 months, and trying every month , but we are yet to get a positive result. i know that it is possible and it can happen within this year insha Allah. Wallahi, in that same month i got pregnant, and i am currently due to deliver insha Allah! For me it is a testimony, especially when i saw this mail, as i was going to post my testimony on the dua site, and also request the ummah to pray for a safe delivery insha Allah as i start maternity leave today. Alhamdulillah, tanx Bros 4 d reminder, Allah(SWA) Says in the Holy Qur’an about Dua Q2v185 ((185) And when My slaves ask you (O Muhammad SAW) concerning Me, then (answer them), I am indeed near (to them by My Knowledge). I respond to the invocations of the supplicant when he calls on Me (without any mediator or intercessor). So let them obey Me and believe in Me, so that they may be led aright.) so my brothers and sisters never loose hope in Dua. 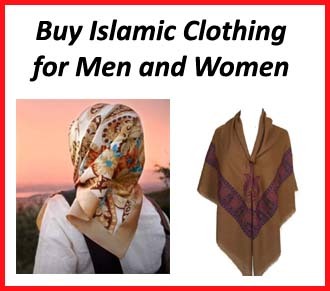 Salam alaekum, this article is very very helpful. May Allah reward you abundantly for posting the article. Surely, there is no deity, worthy to worship except Allah and that prophet Muhammad (SAW) is his messenger. May Allah (SWA) answer our prayers. is good to be reminding us (muslim brothers and sisters) this very versatile hadith. Really a meaningful article that renovates ones faith n makes it firm n find out his own sins and repent rather losing faith in ALMIGHTY ALLAH and HIS MERCY…. 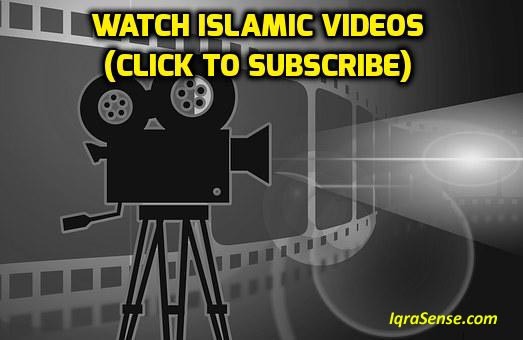 Alhamdulillah, this is very educative and informative for we muslims. May Allah in His infinite mercy continue to be with us all and grant our requests unto Him. It was reported in an Hadith that Allah answers our prayers in 3 ways: He either answers it the way we have requested, or He answers it by preventing evils from befalling us, or He answers it by crediting it into our accounts with Him as a form of worship. His wisdom dictates which of these ways is best for us. I pray that Allah forgives us all of our sins and answer our prayers through His mercy. Maashaa Allah, this is a wonderful peace. i must confess i am guilty of most of the things that was pointed out by this wonderful author. this has really been an eye opener and will go a long way to help me strengthen my Iman. May the Almighty Allah bless your wonderful work. Thank you so much for refreshing our mind , the subject is very educative and it realy cames at the right time for me. We shd always believe and have faith that all our prayer is being answered by Allah. He is just holding the reward for us in the day of judgement. May all our preyer be Answered Ameen. A very nice article.. that appeals to the heart..makes faith more strong.. Being human we miss to realise facts that Allah knows best what is good for us.. But seeking help from Allah through dua is our duty..
May Allah bless you for the good work. Alhamdulilah… I can positively say that I make DUA as much as I can…sometimes Almighty Allah answers immediately and sometimes later and sometimes not at all, but i KNOW FULL WELL that because I ask for what will be good for me and my religion, what does NOT get answered was probably NOT good and perhaps was saved for a later date where I could be more appreciative!! All in all, DUA is important. I believe in putting Almighty Allah in the “driving seat”, you be a passenger and just ENJOY THE JOURNEY!! !LETHIM BE THE GUIDE… Almighty Allah (SWT) LOVES HIS UMMAH TOO MUCH…. and as long as we LOVE HIM..we will find no problems. May Almighty Allah grant richest blessings to our Prophet Muhammed (SAW) and his family and ALL our beloved Prophets and MUSLIMS all over the world…those who are here and those who have left us. Ameen. 2. delay and response will be in Hereafter. ALLAH WILL GRANT WISHES IN EVERY POSSIBLE WAY, THE KEY IS TO BE PATIENT ! i recognized that we must have sabr. like prophet Moussa A.S. as his dua was accepted after 40years and he didin’t lost hope. Barakallahu feekum!!!! ths is very motivating!!!! SubhanaAllaah!! i’ll post ths on fb and share with others inshaAllaah!!! This is a wonderful post. JAZAKALLAHU KHAIRAN. This is really what I have been missing! I have been in this position and I have been asking Allah to alleviate some burdens I have had for two decades but my dua’s have not been answered! I now know with conviction that there was a reason(some sin I committed) why my cries fro help were not answer by the most High. I intend to change but still, I can only retify my mistakes and change if Allah wills! My Allah guide me. Please pray form me my muslim brothers and sisters. Assalavalakum, regarding Dua its Muslims ask for help from Allah, its upto Allah to fulfill it or not but it is the duty of Muslims to ask for Allah’s help whether it is fulfilled or not atleast in my view. It is Allah who created us all and Who works all the time and has control of all. If you take my case my 80-90 % Dua’s is not fulfilled but I still have faith in Allah may be it is the test or not a test, but it is the for the Muslims to keep faith in Allah all the time and be on the right path as said in Quran. Muslims should learn how to protect themselves from the satan and his followers and to do this Muslims should think from their brain and heart without rejecting the teaching of Quran, and as a whole one should not hate or try to kill non-believers because afterall it is the Allah who created them and Muslims have their path and Non-Muslims have their path. Muslims men and women should always faith in Allah and ask for His Help and His Rahmath. i remember the patience of hazrat Yaqoob A.S and Ayub A.s in the time calamities. They suffered a lot but did not complained Allah . And why does to complain Allah when we believe He is our creator,the most wise ,the most loving and the most powerful. only confused minds (about believing in Allah) complain Allah . And according to my personal experience ,Allah does not leave his slave alone . it is impossible that He leaves us while we are following Islam completely . Impossible! ?????? ???????? ??? ???????? ??????? ?????? ????????? ?????? ????????? ? ?????? ?????????? ??????? ?????? ??????????? ???????? ???????? ?????? ????????? ?????? ?????????? ??????????????? ??????? ???? ???????????? ?????????? Motto : Hypocrites / Doubtful /confused peoples neither get success in this life nor in the hereafter. If you have to follow Islam,follow completely. ??????????????? ???????? ??????????? ????????????? ??????????? ????? ???????? ??? ???????? ??????? ??????? ?????? ??????? ??? ??????????? ???????????? ???????? ????????????? ?????????? ??????? ??????? ???????????? ????? ??????? ?????????? ?????? ??????????? Then do you believe in a part of the Scripture and reject the rest? Then what is the recompense of those who do so among you, except disgrace in the life of this world, and on the Day of Resurrection they shall be consigned to the most grievous torment. And Allâh is not unaware of what you do. JazaakumuLLAHU Khairan!!! May Allah have mercy upon our great Shaikh Al-Jawzi, Ameen!!! You to May Allah Bless you all and add these efforts to your book of good deeds, Ameen. It was an excellent piece on prayers not being answered. I do have a concern, though, that sometimes people blame themselves too severely and are weighed down under guilt and self-hatred because of their troubles and the belief that they are responsible for them. Some people who have severe health problems, for example, conclude that they must be very bad–far worse than other people who enjoy good heath. It would be better if such people saw their troubles not as a punishment but as a test of their faith and dedication to God. It is not always our fault when bad things happen to us. For example, when someone who is innocent meets cruel hostility or suffers persecution for his faith, those are real injustices and not punishments. The most important thing is to know that we have entrusted ourselves to God and to continue to trust in God’s goodness and love no matter what troubles we have in life. I am a Christian friend of Islam. JAzakAllahu Khyran fr this informative topic !!! alhumdulillah,i believe in dua n i believe dua can change ones destiny…i 100% believe wat d post described !! a very good article. this was really for me sent by my god. frankly speaking i was one of them whothought that allah never answers my prayers. i do not blame the almighty but i thought that he doesnt anwser my prayers but now i m thankful to the almighty and u for mailing me this article. may allaah help u ppl with more knowledge so that foolish like me get to the right way. Very nice peice of work! I have great exprience in this, by Allah! It took me morethan 3 years to get responded and now my problem is solved! Al-Hamdu Lillah! I used to make du’a continously after each salaat! It is really amazaing…since then I get what I ask from Allah after a month or six or even a year! So, it is worth making du’a have patience!!!! Thanks for the article, am so blessed reading it. 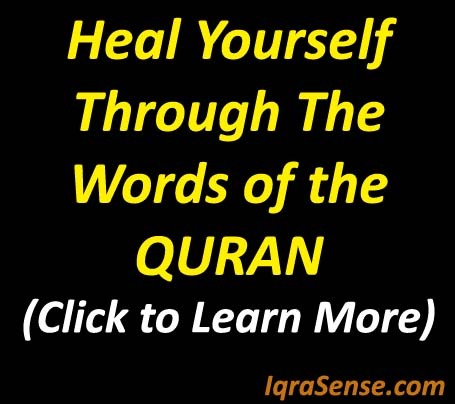 it a soothing balm to my fractured iman. Am using this medium to ask for ALLAH’S FORGIVENESS for my short comings.And answers to my prayers AMIN! Alhamdu lillah. May Allah give us the curage and wisdom to put to practice laudable teachings we learn and make it a source of janna for us, ameen. Looking forward to more of this. Jaza kallahu khairan. Jazak Allahu khairan! ????? ???? ???? ????? ???? ??? ? ???? ???? ??? ???? ?? ?????? ?? ????? ????? Thanks a lot actually it is very informative article. I extremely believe that Almighty Allah know better than us what, when, where and why is good or bad for us and therefore, should not loss the hope when we did not recieve response of any Dua immediately. This is a wonderful remainder. May Allah (SWA) reward you for that. Alhamdu Lillahe Rubilameen. In deed, Allah (SWA) loves us more than the love provided by 70 mothers and much more….. I beleive He is everywhere and He is aware of all my deeds. He listens to me in every split of a second but am I asking Him the way He wants. He is KADER and I am Faqeeer. This faqeer has to ask himself whether all his actions from dawn to dusk are halal or not. Am I observing halal movements from each joint of my body, in addition to zikar and mercy on all creation? As my ammal goes up His decision comes down accordingly. May Allah (SWA) give us the wisdom and strength to polish our weaknesses. Allah Jullajallaho, have mercy on us. It seems to me that lots of people are abandoning the Quran and looking to scholars and other sources to solve their problems, in this case, impatience, concerning Dua. Mankind is ever impatient. I suggest that people revert back to the Quran, lest one loses the forest for the trees. The Quran is the guide and the rope to hold on to. Salam alaekum, this article is very very helpful, Dua gives us hope and hope keeps us near to Allah. Thank you for the article. Ahmed is absolutely correct what he quoted from Holy Quran. Allah (SWT) taught me something related to this, what happen when innocent meets cruel. If you think you are innocent and you have not done any thing wrong in your past and misfortune befalls upon you. And if it exactly like this (Allah (SWT) knows the best) then I believe Allah (SWT) would like to increase our level and test our faith. If we pass that moment with patience then your category will be changed from an ordinary human (level 0) to pious human (level 1). I am using to level 0 and level 1 just to explain you the categories of human e.g. worst, bad, good, better, best etc. If Allah increase your level and gives you pious category then you will be more close to Him and His belessing will be upon you. It is also possible that if future you may face similar kind of incident or even much worst than that. Then it means Allah (SWT) wants to increase your level further. I hope that I am able to answer your question. A very helpful and enlightening article. Jazak Allah. This is what the generation today needs the most…. i.e. Patience. May Allah S.W.T give patience to all of us and regard us amongst HIS believers. Ameen. Keep praying and do not lose hope ! All our prayers will be Answered for Allah is All Hearing and HE alone is all knowing. Alhamdulillah Rabba al meen,Aswalat asalam alaika ya rasuloullah. you really open my eyes and I will pass on this message to my jammat at our masjid.Very educative to those who want to boost their imaan.Allah have everything why he delay to answer our dua?The answer given above is 100% right and I will never be shaken again.Audhubilahi minazharika. Jazakalah for this thought provoking article. In my view if you make supplication to Allah All Mighty it must be done with complete sincerity and good intentions. He is ALL KNOWING and decides what is good for you. Allah decides everyones destiny. For example, if you make dua to Allah to assist you in being successful in obtaining a specific job that you apply for, it could be unsuccessful because He knows that you are not destined for that specific job over reasons He alone knows. You cannot despair but continue making dua until you are successful in what is meant for you which could be far greater than what you initially intended to do. Get closer and closer to our Prophet Muhammed S.A.W. and Almighty Allah through Salaah and you are guaranteed of guidance and acceptance in all your duas, Inshallah. 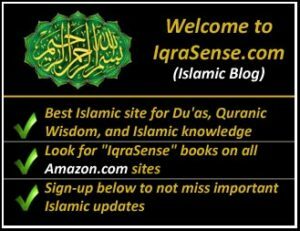 May Allah guide us all and I compliment IqraSense.com for sending us good valuable information. Educate the Ummah!!! from this i understood that a dua needs more patience. Thanks for the message. It has indeed consoled the heart and stirred enthusiasm to making more and frequent duas. Yes, being patient is very important in doing a dua. Only Almighty Allah knows what best or worse for someone doing dua. But for sure each and every dua has an impact sooner or later if it does with right spirit. DUA AND PATIENCE. WE SHOULD MAKE DUA AT ALL TIMES. THE LINES ARE OPEN TO OUR CALLS 24×7 WITHOUT ANY NETWORK PROBLEM. jazakallahu khairan may allah bless us all. This post has been a very informative source to all of us. Jazak Allah Khair, very informative, and help full for those who have negative thinking. Allah is listening to all of us, So if we believe whatever we are asking him to give us is the right thing, we must not stop Dua. Jazakallahu khairan! a friend and I were discussing this same issue just a few days ago. Patience does not come easily to man. “man was created in haste”, but most times it is for our own good that the answers to our prayers are delayed. And we never know Almighty Allah has different ways of answering our duá, we just need the patience and faith to see His rahama. Innallaha maál sabiiriin. Thank you so much for this article, not only has it reinforced to benefits of patience and Faith to my lost sense of direction, but helped me to instrospect and see what I need to do everyday, every moment and with complete Faith in Allah SWT. This has indeed been a huge eye opener for me, and I hope to Inshallah to remember this hidayat always..
DUAS FOR MY FAMILY ESPECIALLY FOR MY MOTHER AND SISTERS BEING ANSWERED TOOK LONG TIME BUT ANSWERED BY ALLAH SWT. WILL GET RID OF MY PROBLEMS. PLS. MAKE DUA FOR US. MAY ALLAH BLESS ALL OF US. Alhamdulillah, this is the best article, the reader has ever read. I would like to pray to the Almighty Allah for rewarding the composer and publisher for arranging such works. I also humbly suggest to everyone for prayer to Allaw Subhanu Tawla for the muslim ummah. Innallaha maál sabiiriin. Allah answers our payers always and in different ways. Lets continue with our DUA’S and they will be answered Inshallal. I’ve had my Dua’s answered in so many ways regardless of time and I say ALHAMDULILLAH. Never give up and don’t allow hesitation to delayed replies. May Allah swt reward you abundantly for this important reminder. Indeed, mankind love the life of this world and neglect the hereafter. A muslim should always engage in duaa (prayer) otherwise he/she will be arrogant to the creator. May Allah give us the understanding of our religion (ameen). As we all understand that, the human life is merely a TEST, we can not expect every things we wish. Through out the TEST, Allah expects from us, “How much we are with HIM?” during the needy times as well as others. So, if we find anything we need, we have to appeal to HIM & HIM alone. He knows about us the best than ourselves. Therefore, if our appeal is benefits for us, sepcially to complete the TEST successfully, then HE may approved or definetely, all of our appeals will be dposited in our account, insha Allah. assalamalaikum warahamatuallahai wabarakatu.jazakallahu khairan.this was really for me sent by allah.this has brought tearsto my eyes. It is the way of life. It is the ‘science of living’ of people of modern times, based on universal truths and scientific knowledge. Its goal is to develop our infinite potential fully by using the power of meditation. in 1995 i went to visit my late Mother and i opened up to her that i have a problem she was all ears listening i told her that i discorverd that whenever i am about succeeding in a certain a activity or achieving a certain target which i have despiratly worked for , somewhere along the line something will go wrong and i will loose my target. I have been married for 2 years but my husband is still in Pakistan awaiting his visa. We have had problems with this and I have been continously praying and making dua for him to join me in the UK but Allah is not answering my prayers. I know I have to be patient but husband and wife should be together. I dont understand why I have to feel this lonliness as most of my life I have spent on my own and now I have found someone to be with, it seems that I cant. I may have committed some sin to be suffering like this and I ask Allah to forgive my sins and I feel that I have to do something but I dont know what! Last night I was feeling very emotional and praying to Allah that If He is angry with me to let me know what I should do. I know Allah does not require me but I need Allah. I have been in the same boat. My husband has been waiting for 2yrs for his visa and we have been married 3yrs and still no answer. I pray to Allah too but so far nothing. I feel the same that I might have done some sin but I do ask Allah for forgiveness but still I dont get any response. I have heard that when you ask Allah for forgiveness he gives but not so far in my case sister. Is their any dua that you are reading that you may share with me so my husband can get visa and also pray for me in your prayers that I get united with my husband fast and I will pray for you to sister shaheen. Alhamdullillah! I strongly believes that Allah knows best, The All-Knowing The All-Hearing.. He will give what he knows is best for us we just have to place our trust in Him. it is indeed an eyeopener for me may allah bless the writer and all the people behind it . we need Allah for every thing and Allah has created us to remember him allways in hardship and in goodtimes .so don not stop asking him for he gives us what is best for us. may Allah grant us good in our lifes and hear after. I have learned alot from this article and it had made me realise a lot of things. I have been having similar problems to this article and it has helped a lot. So Thank You Very Much! May Allah Reward All of You Who Are Behind This. It took me a few weeks to open the email and read through it and i realized how much time i wasted by not reading it. As they say better late than never. My fellow brothers and sisters i am not a religious or a pious man but i do not harm others(with words or action) as i know i have to answer to Allah Subhan a tala at the day of judgement, i do say my namaz and i do make dua, not only for myself and my family but for Ummat e Musallamah. Now i know that i have to keep on saying my dua as Allah Subhan a tala has said to only ask him and no one else as he is the provider and he is the most merciful.Inshallah i will say my dua for each and everyone of you who have commented on this article as we all are a part of Ummat e Musallamah. All i ask is for guidance from Allah subhan a tala. Aameen sum aameen. very nice and so much useful.It has given hope..
Be true to ur heart, & belive in Allah.. Vn i mke dua, i truly belive that my duas will be accepted. Allah the Almighty had shown me many things that my dua will be accepted, i hv patience, & vn the time comes, i know surley Allah is going to give me my most important persom whowm i want into my life.. Insha Allah.. I know il gt my dua answerd. lovely article Allah (s) gives according to your expectation. Have hope and your duaa will definately be answered. Alhamdullillah I make shukr because Allah S) is always answering my prayers. Allah has promised us that when we ask he listens, and he will give what is best for us, have faith. Jazakallahu khairan,Superb!The article has answered all my questions. Masha-Allah, it is the most important reminder in the best time……..Dua is important for all of us. Allah has ordered us to supplicate him alone. …………..
Salam, please make dua for my family, we are facing a tremedous amount of problems lately. Please make dua that Allah SWT gives all my family members hidayat especially in this blessed month and all our problems get solved. Allah is taking test by giving or taking something we should trust him and we should have patience..Allah is full of Knowledge, watever he does is best for us. May Allah Give hidayath to all of us..Aameen ya Rabbi..
very good article–Allah bless us and keep us on right path–ALLAHUMMAGFIR WAHAM WA ANTA KHAIRURRAHEMIN. Assalaamo-Alaikum dear brother, this article is most inspiring to me, as I have been wondering with all the sins been knowingly committed by our own brothers even in the month of Ramadaan. It is so depressing when these same people go for Umrah after hurting their parents, brothers and sisters and speak with confidence that their sins will be forgiven once they ask for forgiveness. How does that work? What about the people he has wronged? How can his grave sins be forgiven? Assalamu alaikum. Jazakallahu khair for another wonderful article. Indeed,du’a is one of the most superior as well as easiest forms of ibadah. You are getting what you want (be it worldly or not) and at the same time getting closer to your Rabb. What I love about du’a even more than my needs being fulfilled, is that when a du’a of mine is answered the realisation that Allahu azza wa jaal listened to someone as lowly as me and gave me what I wanted. That euphoric feeling that the Creator of the heavens & the earth decided to answer me & grant me a request… Alhamdulillah, just that feeling alone is far more than having whatever it was I asked for,no matter how important it is. 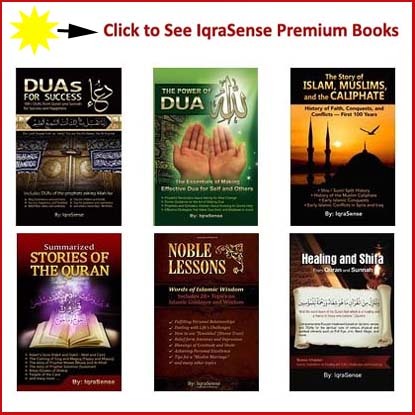 Thanks again iqrasense,may Allah give you the best of this world & the next. I so much believe with the waswaas as a big bridge between Dua and Acceptance. May ALLAH give us the privilage to over come the powers of wasaas. May ALLAH bless us and accept all our prayers in this ramadan and always. Ameen. this is indeed an excellent article and at the same time a perfect reminder at the the perfect time.may Allah reward you abundantly. it is very true not just as Muslims but as human in general we are so inpatient that we always demand God to answer our prayers within a twinkle of an eye. but unfortunately must of us, with due apology and respect to everyone, our hearts are not pure, it is either we make prayers for so and so to happen to so and so person or there is always a hidden agenda to must of our prayers. like the author rightfully said, it is better for some prayers to be delayed than to be answered immediately because we never can tell because God maybe protected us from that which we dont no. may he continue to guide and protect us all, may he also give us heart to make dua purely with good heart and good intentions. I always consider du’a as part of ibada. Consequently, I never get frustrated over a response. After all it is said that when you did not see an immediate response, Allah (SWT) may have out of His blessed wisdom subsituted your requests for better alternative causes at more appropriate times, or Have even shelved your them for benefits you may earn in the hereafter. We have been encouraged by the Qur’an to show more patience in matters of our deen. I Pray to Allah (SWT) that Almighty Allah listen all the prayers in which ask a prayerer for forgiveness first from previous sins and hold good intentions for the present and for the future to do good and be good for all his/her life and send lots of durood and salam to the Prophet (PBUH) and understand that this world is nothing but just a deception for we have to leave this world. every one has to face some test in the form of some difficulties like people before us was examined and ofcourse some easy for life has to face as well. So give thanks to Almighty Allah, and and i think side by side prepare for the further travel as well. this article is a treasure for all of us which remind us the hereafter. We must be patient when we ask Allah for anything. Allah stated severally in the Qur’an that He is in possession of whatever we need and wants and He gives to whomsoever He pleases and in whatever measure He pleases too. As our creator who gives generously, the only option is to pray fervently and sustainably while being patient for Allah’s bounties to descend immediately, later or substituted for something better. Allah knows best.. It is rightly said that with Allah there is never a no in the answer to a dua made to Allah SWT. The response is either a)Yes b) Yes,but not now or c) (better still) I have a different plan for you. So never be disheartened when it seems that your Dua is not answered. Yes, this is the most needed thing in our lives and during our praying times. Because praying without making Dua seems to be like driving without having fuel while hoping to reach the place you’re going. May ALLAH help us and giving a lot time to make Duas to Him at any place of our movement!!! Jazakallah for this article….. I alwaz think d same way that might b bcoz of our some sins our dua’s r nt fulfillng n I always pray for forgivness for sins….. But alhamdulillah most of the time my dua’s r fulfild I alwYz thank Allah subhan wa talah for this…. Plz forward some article related to shab-e-Qadar…. Subhanallah. The power of dua is amazing. Allah swt does test on different levels and if our calamity has made us turn to him then it was-never a calamity rather there was khair in it. this article is very helpfull , Allah tests those he loves , and wants us to ask in times of trail and despair. Supplicate to Him after five time prayers, and when we intend any imprtant task in our daily life or when we get agonized of any trouble or difficulties. It is nunfortunate we see many considering it an INNOVATION to discard Dua after the five time prayers, a joint and collective prayer at these times will be mostly answered by Allah in a way which is beneficial to us. The prophet’s hadith clearly spells out the azkar that one should say after the conclusion of the obligatory prayers. Making collective Dua isn’t part of those practices and hence engaging in it is considered innovation by many renowned scholars. The idea is that first if the prophet didn’t do it, we shouldn’t and if it had any high significance, the prophet would have done it because after all who would know more about our religion than the one who actually brought it to us. This is similar to us increasing the number of Rakaah’s in obligatory prayers on our own with the intention that more is good – which in this case is not. Let’s make Dua at other times but not invent variations of the practice where the prophet told us something else to do instead. If you want quick result for your dua, make dua for your brothers and sisters in their absence. and never tell them that you prayed for them. This reply from Allah is so very fast faster than his reply to the duas for themselves of travellers who go perform hajj ,faster than Allah’s reply to the dua for themselves of the sick, quicker than his reply to the duas for themselves of the fasting muhminowna, quicker than his reply to the duas for themselves of the Mujahideen fiy sabiylillah. So pray more for your brothers and sisters than you do for yourselves. No muslim can be a true believers until he loves for his brothers and sisters what he loves for himself. U want the quickest reply for your duas? Am I making dua for myself always?Then, I must be patient or have the wait-power because the reply is not so quick.Sabar!!! But when you make dua for your brothers and sisters, the replies for their needs will be very fast and so fast also for you. 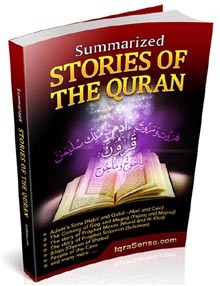 In light of this Hadeeth, two kinds of people achieve the merit of the Angel’s saying, ‘Ameen’ First are those absent Muslims for whom the supplication is performed because the Angel says, ‘Ameen’ for such a supplication, which means, ‘O Allah, accept this Dua for the absent Muslim.’ The second category of people contains those people who supplicate for the absent Muslims because the Angel says, ‘and for you too’ after, ‘Ameen,’ meaning may Allah grant you the same. Imam an-Nawawi (rahimahullah) writes in the explanation of this Hadeeth, ‘The excellence of supplicating for the absent Muslims is mentioned in this Hadeeth. This merit will be achieved even if one were to supplicate for a group of Muslims. Also, if one supplicates for the whole Muslim Ummah, he will have achieved the same advantage, as is known from the apparent meaning of the Hadeeth. The Angels seek Allah’s forgiveness for believers, who repent. This article has energised me when I have been down for years. Dearest Brothers and sisters please make dua as I have been oppressed for years. I ask Allah swt to give hidayat to them. I have so many problems in my life and it’s all because of my mistakes and sins that I have committed . Now I am in a state that nobody can help me except Allah. I ask for Allahs forgiveness and I am making dua everyday to overcome my difficulties. Allah is my last and the only hope . Inshallah Allah will solve all my problems and give me patience. Patience and strong faith will bring you closer to Allah. And your prayers will be answered. Insha Allah.And Plz remember me in your dua. Very very nice and explicit article indeed, please pray for me as I am going through hard times, and still I have complete faith in ALLAH (SWT) and have sabr. Pray for my kids as well that Allah (SWT) give them sabr too. 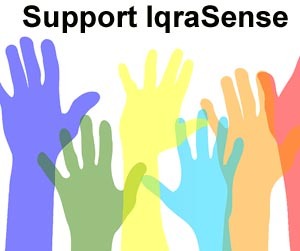 May Allah (SWT) always bless IqraSense.com team, very good job, keep it up. I am a Hindu, but I have great interest in Islam. 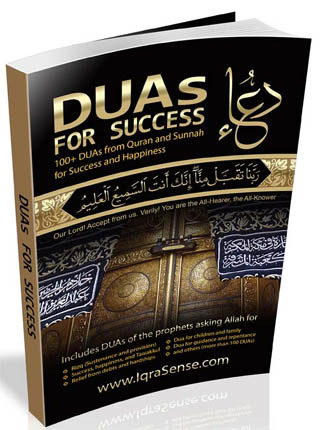 I have learnt how to perform Dua, if I do it wholeheartedly, will my Dua be accepted? Why not? Regardless religion ALLAH is the creator of all of us. May ALLAH bless you and accept your duas. I want everyone to make dua for me. I am a sister in need please. Im going through so much problems and hoping everyone will make a dua that Allah will grant for me. May Allah reward you guys and shower you with his blessings.